All around us, data is driving digital transformation. Companies that invest heavily in cloud, data and AI have nearly double the operating margin of those that do not. By partnering with Microsoft, these enterprises are driving innovation and differentiation for their business. Only Microsoft delivers a consistent, hybrid data platform across on-premises and cloud so you can develop your application once and deploy anywhere, across all workloads including OLTP, BI, data warehousing, and big data. 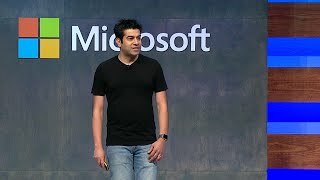 In this session, we show how you can modernize with SQL Server 2017 on Linux and Windows and Azure Data Services; deliver modern, intelligent applications using technologies like Azure Cosmos DB and Azure Database for PostgreSQL.